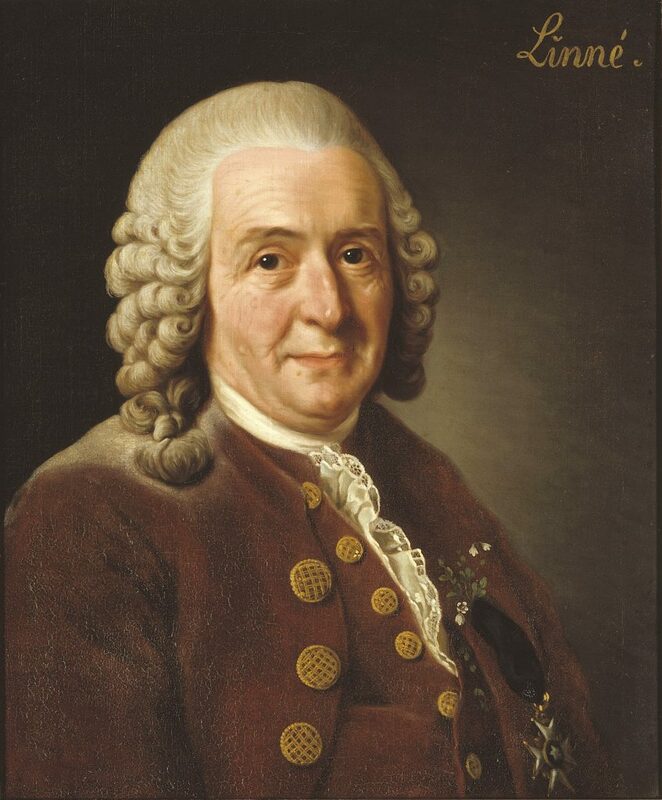 The system of biological naming (or, nomenclature) that we use today was developed by Swedish botanist Carl Linnaeus (1707-1778). Portrait of Carl Linnaeus (public domain; downloaded from Wikimedia Commons (link). Despite his apparent self-absorption, the core of Linnaeus’s biological naming system has endured for nearly 300 years. Even though Linnaeus was a creationist through-and-through, and felt his system revealed the mind of the Creator, it has proven remarkably useful for naming and classifying species, even since the Darwinian revolution. So, what makes the Linnaean system so useful and resilient to scientific revolutions? Linnaeus’s great innovation was the binomen, or two-part species name. Naming species using two-part species names is called “binomial nomenclature.” In common usage, binomial species names are often referred to as “scientific names.” The first part of a binomial name is the genus, or generic, name; the second part is the specific epithet. Why are the singular-plural combinations of these words so unusual? Many specialized terms in science follow Latin or Greek patterns for making singular and plural nouns. Genus/genera and species/species conform to Latin. Latin singular-plural forms are sometimes encountered in everyday English. For example, the alumni (or alumnae, if only women or girls) are the graduates of a school, whereas a single graduate is an alumnus or alumna. Standard English dictionaries usually provide guidance to forming plurals for words that utilize Latin and Greek endings. To better understand the usefulness of the Linnaean system of binomial nomenclature, let’s first consider the basses. Bass fishing is a popular pastime for many American anglers. In the eastern United States, two of the most commonly sought freshwater fish are the largemouth bass and smallmouth bass. As you might predict, a key biological difference that separates the two species is mouth size (the largemouth bass has the larger mouth). Largemouth bass (Micropterus salmoides). Art by Duane Raver for the U.S. Fish and Wildlife Service (Public Domain). Smallmouth bass (Micropterus dolomieu). Art by Duane Raver for the U.S. Fish and Wildlife Service (Public Domain). Specific epithet: The specific epithets indicate that they are biologically distinct species. The largemouth bass’s specific epithet, salmoides, means trout-like (trout belong to the same larger group as salmon) (FishBase). The smallmouth bass was named in honor of a French mineralogist named M. Dolomieu, hence its specific epithet, dolomieu (FishBase). Authorship: Both species were named by the French naturalist Bernard-Germain-Étienne de La Ville-sur-Illon, comte de Lacépède, or just Lacépède for short. Including the author’s name after the species name indicates to the reader who originally named and described the species. Year: The year of publication follows the author’s name. In this example, both species were named and described by Lacépède in the year 1802. As noted below, publication year can be very important for resolving certain taxonomic problems. Authorship and year are often omitted when species names are used, except in technical publications. 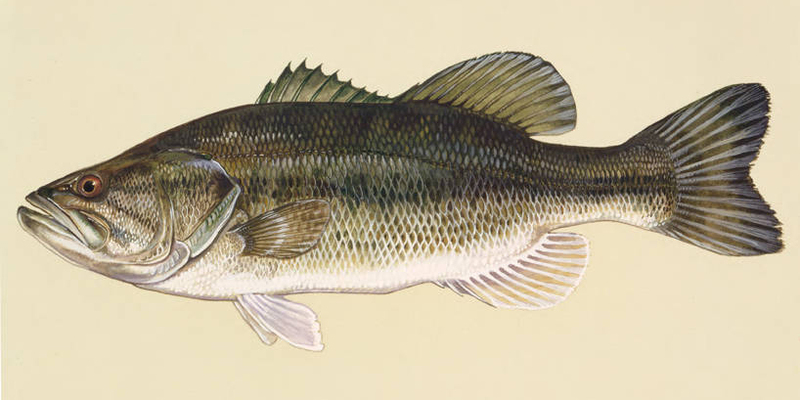 Parentheses: Note that in the case of the largemouth bass, parentheses surround the author and publication year—i.e., (Lacépède, 1802)—but do not in the case of the smallmouth bass. This is not a formatting error. In zoological taxonomy, parentheses that surround an author’s name and publication year indicate that a species has been moved from one genus to a different genus. Lacépède originally gave the largemouth bass the binomial name Labrus salmoides. A subsequent scientist determined that this species should instead be assigned to the genus Micropterus. So, Labrus salmoides became Micropterus salmoides, and this change is indicated by the parentheses. Ever since Lacépède’s original description, the smallmouth bass has been assigned to Micropterus. Therefore, there are no parentheses surrounding the author’s name and publication year. Species names in plants, algae, and fungi work similarly to those in animals. There are a few minor differences to note, primarily in the representation of author names and year of publication when species are moved from one genus to another. As an example, we will consider the species name of the coast redwood, Sequoia sempervirens (D. Don) Endl. 1847. Coast redwoods are the tallest trees on earth. Genus name: The coast redwood is the only living species in the genus Sequoia. Sequoia is a name first coined by Stephan Friedrich Ladislaus Endlicher in 1847 and is often assumed to refer to Sequoyah, who invented a writing system for the Cherokee language. Endlicher himself, however, never explained the origin of the name (see The Gymnosperm Database). Specific epithet: The specific epithet is formed from two Latin words: semper (always, ever) and vireo (to be green). Like most conifers, the coast redwood is evergreen; in other words, it does not lose all of its leaves seasonally, as a deciduous tree does. Authorship & use of parentheses: As in animals, an author name or names may follow a scientific species name in plants, algae, and fungi. Author names are often included only in scientific or technical publications. Under the code that governs nomenclature for plants, algae, and fungi (discussed below), author names may be abbreviated in accordance with standard abbreviations listed in the Index Fungorum or the International Plant Names Index. In the name Sequoia sempervirens (D. Don) Endl. 1847, D. Don is the accepted abbreviation for David Don, whereas Endl. represents Stephan Friedrich Ladislaus Endlicher (mentioned above). The abbreviation D. Don is in parentheses because Don originally gave the coast redwood the species name Taxodium sempervirens D. Don. Later, Endlicher moved the coast redwood to the genus Sequoia, and created the new genus-specific epithet combination Sequoia sempervirens (D. Don) Endl. In the new combination, the name in parentheses indicates the author of the original name and the current specific epithet (Don), whereas the name following the parentheses indicates the identity of the person who moved the species to its current genus (Endlicher). Year: Sometimes, the year of publication may be included following the name of the author or authors. If the year were included, the original name of the coast redwood would be written as Taxodium sempervirens D. Don 1824, the year of its publication. The current name of the coast redwood is written as Sequoia sempervirens (D. Don) Endl. 1847, as Endlicher proposed this new combination in 1847. Care must be taken in the written presentation of scientific species names. The first letter in the genus name is always capitalized, whereas the first letter in the specific epithet is always lower case. When typed, genus and species names must always be italicized (as shown above). This convention is often ignored in the media (even in otherwise respectable sources), but is always followed in scholarly literature. Because most people have trouble italicizing their own handwriting, handwritten scientific names should be underlined (e.g., Micropterus salmoides). Species epithets must always be presented with the genus name, which may be abbreviated by the first letter, so long as the full genus name is spelled out earlier and there is no potential confusion for the reader. Why is the third example incorrect? It is wrong because the species name salmoides has been assigned to more than one genus. In this particular case, Lacépède assigned multiple species in multiple genera to the species salmoides, including Labrus salmoides and Holocentrus salmoides, which is now known as Epinephelus malabaricus (Bloch & Schneider, 1801) and is a very, very different kind of fish than a largemouth bass. The common name of this Indo-West Pacific marine fish is the Malabar grouper, which can be up to 92 inches in length! (see Wikipedia). Also note that it is not allowable to make a species name plural by adding “s” to the end, nor singular by removing an “s” at the end. You may know that the scientific name for our own species is Homo sapiens. You are a Homo sapiens, we are Homo sapiens, and every person alive is a Homo sapiens. Nobody is a Homo sapien. Entire international organizations exist to police the proper publication, formation, and use of scientific names. The International Code of Zoological Nomenclature (ICZN) sets the rules for animal names. The names of plants, algae, and fungi are governed by the International Code of Nomenclature for algae, fungi, and plants (ICN), formerly called the International Code of Botanical Nomenclature (ICBN). The ICN is updated every six years at the International Botanical Congress, and each revision is named after the city in which the congress took place. Thus, the 2011 revision is known as the Melbourne Code (for Melbourne, Australia), the 2017 revision is the Shenzhen Code (for Shenzhen, China), and the 2023 revision will be the Rio de Janeiro Code (for Rio de Janeiro, Brazil). Bacteria even have their own International Code of Nomenclature of Bacteria managed by the International Committee on Systematics of Prokaryotes (ICSP). The codes govern the proper form (orthography) of genus names, species names, and names at higher ranks, as well as spell out the proper procedure for publishing names. They describe, for example, what information must be included when a new name is published. At this point, you may be very reasonably wondering why we even need this complicated system for naming different species. Why not just use common names? First, systematists are, generally speaking, rule-bound people (you carefully read the ICZN, right?). More seriously, common names can create confusion. They may present problems in cases where the same colloquial name has been applied to plants, animals, or other organisms that are not closely related. To an American, a robin is a Turdus migratorius, while to someone in Europe, a robin is a Erithacaus rubecula, a very different kind of bird. The common name “pepper” includes several different genera of plants known for their hot or spicy fruits, for example black pepper (Piper nigrum) and peppers of the genus Capsicum (i.e., bell peppers, habeñero peppers, chili peppers, jalapeño peppers, etc.). Unrelated peppers. Left: Piper nigrum. Photo by Elizabeth Hermsen. Right: Capsicum annuum. Photo by Jonathan Hendricks. Unrelated peppers by Digital Encyclopedia of Ancient Life is licensed under a Creative Commons Attribution-ShareAlike 4.0 International License. Additionally, species may also have more than one common name, and wide-ranging species may have many common names. Puma concolor, for example, has an impressive number of common names in English, such as Florida panther, cougar, puma, and mountain lion. Of course, when different common names exist in different languages, and/or are written in different alphabets, this adds more complexity and creates barriers to global communication. Scientific species names provide several advantages. Ideally, each name is unique to a single species, and each species has one name. In practice, things can be somewhat more complicated, as scientists may inadvertently repeat names or give one species more than one name. The codes provide guidelines for resolving these issues (discussed below under Taxonomic Priority) so that each species has only one correct name. The codes also stipulate the form the names must take and the alphabet they must be written in, which is based on the Latin alphabet. Even if a paper is written in the Greek or Cyrillic alphabets, or in Chinese characters, the scientific species name will be rendered in the same way (i.e., using Latin letters). Thus, scientific species names are a means of global communication. Common names also aren’t very useful in a scientific context because they do not inherently convey information about evolutionary relationships. When using scientific names, we can infer that species placed within the same genus are thought to be more closely related to one another than to any species in another genus (see Section 4.2.4 for further discussion of this point). Now, back to our bass example. Species commonly referred to as “bass” in English belong to at least five different major groups of fish. For example, the smallmouth bass (Micropterus dolomieu) and largemouth bass (Micropterus salmoides) both belong to the taxonomic group Centrarchidae, while the striped bass (Morone saxatilis) and white bass (Morone chrysops) belong to the group Moronidae. Fish referred to as “sea bass” belong to yet more groups. You can see that “bass” is not a very useful term for communicating about these animals. Rather than telling your friends that you are going bass fishing this weekend, it would be better to tell them that you are fishing for local members of the genus Micropterus so that they understand that you do not seek filets of Morone for dinner. Scientific names may convey information about evolutionary relationships, but otherwise they seem rather opaque. So, where do scientific names come from? Do they mean anything? Scientific species names are often derived from Latin or Greek, although they may be based on words in any language, people’s names, place names, or even nonsense words. The codes stipulate the form a genus name and its specific epithet must take regardless of their origins. Ideally, scientific species names should be latinized, or put in the form of Latin words, even if they are not derived from the Latin language. A genus name is a singular noun in the nominative case. In other words, a genus name is in the form of a noun used as the subject of a sentence. The specific epithet is often an adjective or a noun in the genitive (possessive) form, although it can take other forms. Scientific species names or parts of names may simply be the Greek or Latin word for a given species or type of organism. For example, the genus names Canis (dog), Felis (cat), Mandragora (mandrake), Papaver (poppy), and Ursus (bear) are the Latin words for these types of organisms. Sometimes scientific species names convey information about the attributes or uses of a genus or species. The opium poppy (Papaver somniferum) is the source of opium and its alkaloids, including codeine and morphine. Its species epithet, somniferum, is a Latin adjective meaning “sleep-inducing.” Thus, the name Papaver somniferum aptly describes this narcotic poppy. The species epithet of the polar bear (Ursus maritimus) is a Latin adjective indicating an association with the sea. Canis familiaris is essentially Latin for family dog. Species epithets often reference geography. The bloodroot, Sanguinaria canadensis, is a spring-flowering herb native to North America that “bleeds” red latex when damaged. The genus name is derived from a Latin word meaning “bloody” or “of blood.” The specific epithet indicates an occurrence in Canada. Other geographic specific epithets include, for example, sinensis or chinensis (of China, from China) and virginiana (of Virginia, from Virginia), among many others. Names may convey an honor or memorialize or insult someone. For example, the giant Amazonian water lily Victoria amazonica was named in honor of the British monarch Queen Victoria. The giant sequoia was originally (and controversially) named Wellingtonia gigantea to memorialize the first Duke of Wellington (see The Gymnosperm Database). Linnaeus is said to have named a plant Siegesbeckia (or Sigesbeckia) to get back at detractor Johann Georg Siegesbeck (read about it here). Sometimes, names are simply silly or fun. A newly discovered ankylosaur dinosaur—which bore a large club to swing at the end of its strong tail—was given the name Zuul crurivastator for the similarities that it shares with the gatekeeping demon dog Zuul from Ghostbusters. The species name is derived from the Latin words crus, shin, and vastator, which means “destroyer.” Thus, this dinosaur should be commonly known as “Zuul, the Destroyer of Shins!” Learn more from this news story. Taxonomists have long had a lot of fun (ok, well, fun for taxonomists….) with coming up with new scientific names. For many example of interesting stories and anecdotes associated with different names, see here, here, here, and here. When a biologist or paleontologist thinks that he or she has discovered a species that has not yet been formally described and given a scientific name, she must collect a single specimen to serve as a representative for that species. This voucher specimen must then be added to a museum or herbarium collection where it will be protected and be available for future study. Such voucher specimens are known as “type specimens” or “types.” While the exhibits of large museums and research gardens capture the public’s interest, the most important part of any natural history museum or collection—at least from a scientific perspective—is the type collection. These are the most carefully protected parts of any natural history collection and are generally only accessible to qualified researchers. Type and figured specimens housed in the collections of the Paleontological Research Institution, Ithaca, New York. Type specimens by Digital Encyclopedia of Ancient Life is licensed under a Creative Commons Attribution-ShareAlike 4.0 International License. Ideally the type specimen preserves all the key features that separate the species from all others that have ever been described. The technical name for a true type specimen is a “holotype.” A single holotype specimen, of course, cannot not exhibit the natural variation among individuals that is a key feature of every species. Because of this, a taxonomist may designate additional type specimens to better characterize this natural variation when they describe the “new” species. These specimens are known as “paratypes.” Sometimes the taxonomist sends the paratype specimens to multiple museums, though this is not a requirement. Many species were described prior to the convention of designating type specimen in museum collections. As you might imagine, taxonomic governing bodies like the ICZN have rules for dealing with situations like these. Rules also exist for designating new types if the originals are lost or destroyed. For example, in March 2017 Australian customs officers incinerated a loan of six type specimens of daisies collected in the late 1700’s that were en route from France for study by Australian researchers. New type specimens will need to be designated to replace those that were destroyed. Read more about it here. In case you were wondering, the ICZN recognizes the type specimen of human beings as none other than the body of Carl Linnaeus! Linnaeus gave us our name, Homo sapiens, in 1758, and certainly counted himself as a member of this species when he assigned the name. Since he knew himself better than any other specimen in the species, it is reasonable that he be recognized as the type specimen. So far, systematists have honored Linneaus’ contributions to biology by not digging up his skeleton and placing it in a museum. His tomb in Uppsala, Sweden, therefore serves as one of the world’s smallest type specimen collections. Learn more about Linnaeus’s eternal life as a type specimen in the short article by David Notton and Chris Sanger at the bottom of the ICZN’s F.A.Q. page. It is sometimes the case that the same species is given multiple scientific names, making these names synonyms of one another. There are many reasons for this. For example, many years ago, it was common for species to be named and described without accompanying illustrations. 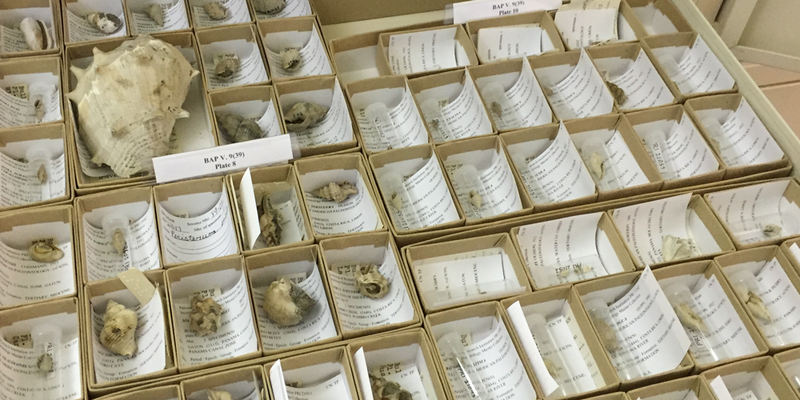 Compounding this problem, many early species descriptions were very brief and did not adequately characterize variation among individuals. Because of this, subsequent workers sometimes named the same species a second (or even third, or fourth!) time, thinking that they had found something new. Further, even when species described long ago were adequately characterized and illustrated, their publications may not have been widely circulated, especially internationally. As a consequence, their descriptions of species may have been overlooked by later workers. Many individual species from the fossil record have been assigned synonymous names. In addition to the reasons described above, fossils—especially those belonging to large organisms—are often fragmentary and different parts of the same species receive different names. This is very common for fossil plants, where ephemeral structures like leaves may be assigned a different name from the trunk of the tree; it can be very challenging to determine which parts go with one another. Similarly, it is very rare for large dinosaur skeletons to be preserved intact; often, only a small percentage of the bones belonging to one individual are preserved (learn more here). Each collection of bones might be given a different name until a single, nearly perfect skeleton is found that shows that the differently named parts all belong to the same species. “many people do not understand that absolutely no honor is associated with describing a new species. There is only responsibility – a heavy responsibility, for the author of a new species stakes his reputation on his defense of the new name as denoting a real, previously undescribed species, representing breeding populations of many individuals, outside the range of variation of all previously described species” (quotation from an important, short article in Hawaiian Shell News, v. 28(5), pp. 7-8; online here. Regardless of the reasons for a single species receiving multiple names, how are such problems resolved? This is determined by a simple rule called the principle of taxonomic priority: the oldest published name is chosen over the younger names, and the younger names become recognized as junior synonyms. In some cases, two synonymous names are published in the same work and therefore at the exact same time. In such a case, the first taxonomist to identify the problem may choose the name that she prefers as the correct one. For example, the famous dinosaur Tyrannosaurus rex was named by Osborn in 1905. In the same publication (on the next page, in fact! ), Osborn named another set of bones Dynamosaurus imperiosus. Later, it was determined by Osborn that the two skeletons belong to the same species and he chose the name Tyrannosaurus rex to be the valid name (thank goodness – T. rex sounds a lot better than D. imperiosus!). While specific epithets can be reused for more than one taxon, genus names and binomial species names cannot. (Remember, this is why specific epithets cannot be used on their own.) What if the same name (genus name or binomial species name) is used for different organisms? In this case, priority establishes which one gets to keep the name and which must get a new name. For example, the giant sequoia, a type of giant conifer that grows only in the Sierra Nevada mountains of California, was originally described as Wellingtonia gigantea in 1853. Wellingtonia, however, had already been used as a genus name for a different type of tree in 1840, and the older usage had priority. The giant sequoia is now known as Sequoiadendron giganteum (you can read more about the complicated history of the naming of the giant sequoia here). Some caveats exist for the principle of priority. Priority does not extend back in time indefinitely. The beginning point for priority in different groups of organisms is established in the respective codes that govern them. For vascular plants and many algae and fungi, priority for genus and species names extends to 1753, with the publication of the first edition of Species Plantarum by Linnaeus. For animals, priority extends to 1758 with Aranei Svecici by Carl Clerck and the 10th edition of Systema Naturae by Linnaeus. Names proposed earlier do not have priority. Finally, a name must follow the rules of the applicable code when published, or it may lose priority. Grammar note: In the example of the name change of giant sequoia from Wellingtonia gigantea to Sequoiadendron gigateum, you may have noticed something strange; namely, that the ending of the specific epithet changed. Why is this? Like modern Romance languages that were derived from Latin, Latin nouns have a gender; genus names are treated like Latin nouns and are also considered to have a gender. Latin nouns can take one of three genders: feminine, masculine, or neuter. Wellingtonia is feminine, whereas Sequoiadendron is neuter. The species epithet for the giant sequoia is a Latin adjective meaning “of the giants.” An adjective that describes a noun must match that noun in gender. Thus, gigantea modifies a feminine genus name, giganteus modifies a masculine genus name, and giganteum modifies a neuter genus name. How do you know whether a genus name is feminine, masculine, or neuter? You cannot simply rely on the ending of the name. For example, the generic names for some trees that were taken from Latin, like Alnus (alder) and Quercus (oak), may appear to be masculine but are actually feminine. The correct name for white oak is thus Quercus alba, not Quercus albus, because alba is the form of the adjective for “white” that modifies a feminine noun. Happily, the codes have guidelines that can help you to determine the gender of a genus name. Let’s start from the bottom. You have already learned about genera and species. The next level up is family (genera are nested within families). Members of the same family share features in common and are more closely related to one another than they are to members of different families (the same thing is true for each rank in the Linnaean hierarchy). Animal families always end in “-idae.” For example, the bass genus Micropterus belongs to the family Centrarchidae. Plant, algal, and fungal families always end in “-aceae.” Thus, the Venus flytrap (Dionaea muscipula) belongs to the sundew family, Droseraceae. The level above family is order, and the level above order is class. Classes are broad categories and, for animals, frequently correspond closely with common names (even if the scientific name is different from the common name). Examples of classes of animals include Gastropoda (snails), Insecta (insects), and Mammalia (mammals). Classes are organized into phyla (singular = phylum) and phyla are organized into even broader kingdoms (e.g., Animalia and Plantae). Because of recent discoveries about the great diversity of bacterial life, some biologists have begun recognizing a rank above the kingdom called the domain. The names of orders, classes, phyla, and ranks in between them (if recognized) are often based on genus names. If so, the ICN stipulates the endings the names must take at each level (rank). Thus, it is easy to tell which level of classification a name represents by its ending. Orders, for example, must end in “-ales.” Droseraceae belongs to the order Caryophyllales. Unfortunately, name endings are not uniform across plants, algae, and fungi above the rank of order, so each group has its own system of rank name endings (see the ICN for details). It is important to recognize that the rankings themselves are sometimes rather arbitrary. Imagine 10 different species of birds that all belong to the same family. How should they be divided into different genera? Should they all be assigned to one genus, ten genera, or some number in between? Ultimately, this is a subjective human decision, but one that whenever possible should be made with arguments supported by robust evidence. What was Linnaeus' important contribution to the naming of species? 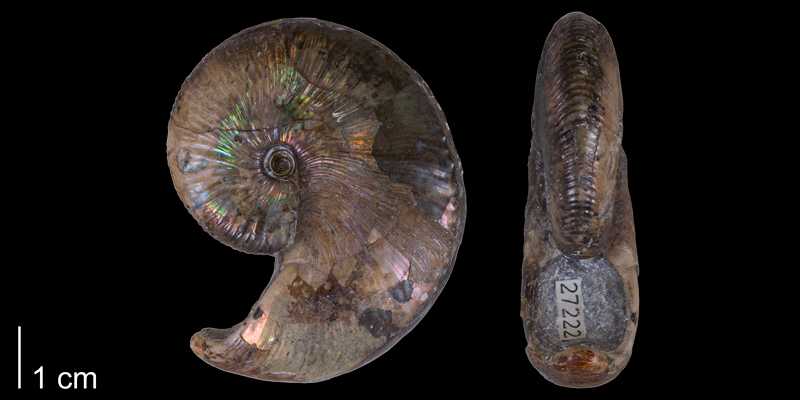 What is the correct way to abbreviate the name of this fossil ammonite, which has the scientific name Hoploscaphites nicolletii? If it is determined that three different names have been assigned to the exact same species, which name is taxonomically valid? The one that was published first. What major category is missing from this listing of Linnean taxonomic ranks? Kingdom, phylum, class, family, genus, and species. A holotype is the museum specimen designated by a systematist to represent a newly described species. The Taxonomy of Candy, by The Brain Scoop at the Field Museum of Natural History. This is an excellent example of how several professional systematists approach the same problem: classification of different kinds of candy.